Diana Mendley Rauner is president of the Ounce of Prevention Fund, a public–private partnership serving at-risk children and their families from before birth to age 5. The Ounce advocates for programs and policies that benefit young children and families, provides training to early childhood professionals in Illinois, and engages in rigorous research and evaluation projects that contribute to best practices throughout the early childhood field. Educare, its birth-to-5 school on Chicago’s South Side, has become a national model for narrowing the academic achievement gap for low-income children. In the last 15 years, another 21 Educare schools have been established across the country in partnership with the Buffett Early Childhood Fund. Prior to joining the Ounce of Prevention, Diana was a senior research associate at Chapin Hall Center for Children at the University of Chicago. Diana has a background in investment banking and previously worked for private-equity investment firms in Chicago and San Francisco. Diana serves on the Board of Directors of Lurie Children’s Hospital and as a Life Trustee of both National-Louis University and the Kohl Children’s Museum. 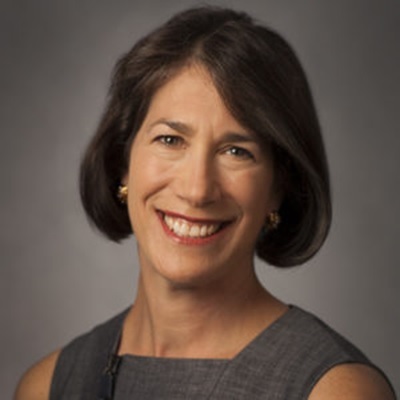 In addition, she is a member of the Yale University Council, the Stanford Graduate School of Business Advisory Council and the Commercial Club of Chicago. Diana was born and raised in New York City, where she was the youngest of three children in a Reform Jewish home. She attended Yale University, where she was also a champion fencer. She received her MBA from Stanford University, and her PhD in development psychology from the University of Chicago.